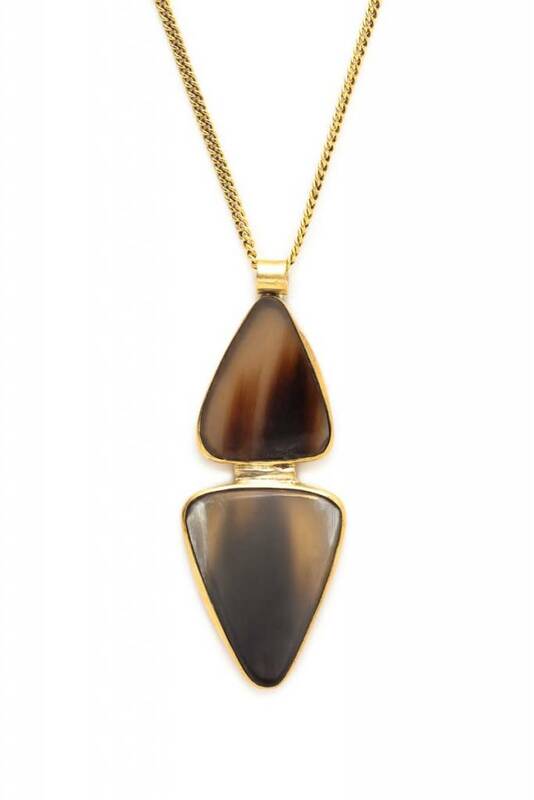 No two of these statement pendants will ever be the same thanks to the natural variations in our ethically sourced Kenyan cow horn. The handmade pendant is rimmed with recycled brass and hangs from brass chain. Adjustable from 18 to 20 inches. Pendant measures approximately 2 x 1.25 inches but sizes and colors will vary slightly.